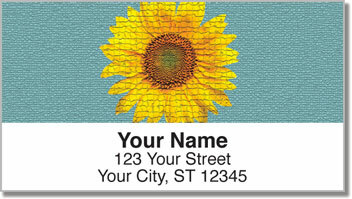 Our artist came up with four exquisite renderings for this captivating sunflower design. Similar yet different, the distinctive illustrations that comprise this collection are some of the most striking depictions we've seen of the stately blooms. 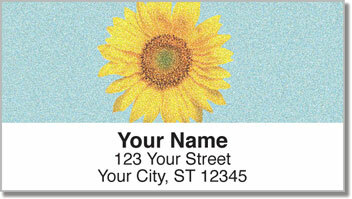 You'll love the convenience these return address labels afford you; keep them with your envelopes and other home office accessories for a fast and easy way to identify your outgoing mail. 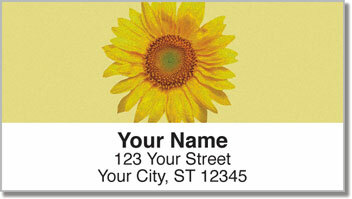 You can also affix them to personal belongings like music CDs or books, for example. 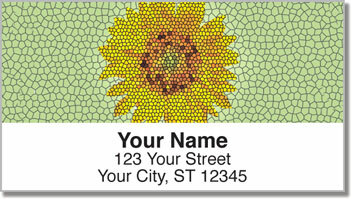 This incredible design set is available both as Artistic Sunflower Address Labels and Artistic Sunflower Personal Checks. Order them both today!